Hello guys from Korea ! I am now in Seoul, and it’s super cold like being in a freezer. 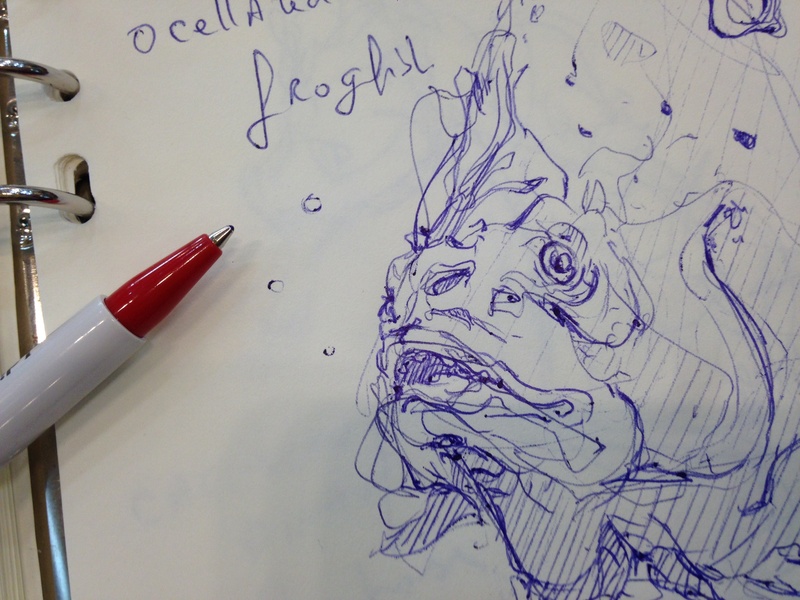 I went to find refuge in a caffe to warm myself and sketch. 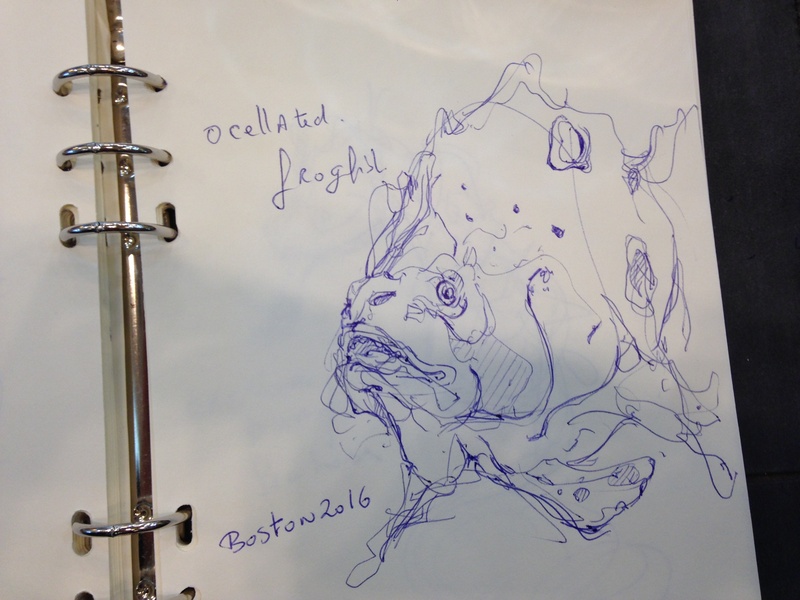 I first sketched this above fish in August 2016 in the acquarium of Boston. It was a live sketching when you draw standing with your sketchbook on hand. I was in a pretty unconfortable position, people was passing in front of me, the fish kept moving and my family was waiting for me to carry on the visit. I had to sketch fast. I roughly had 5 to 10 minutes to catch the essential per subject. I told myself it’s ok, let’s sketch with “fast sketching rules” (I love sketching that way ! ): I would sketch super fast, catching the essential and I would continue them later. 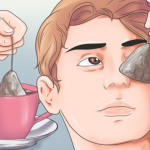 The trick here is to do not try to reproduce 100% exactly what you see. The idea is to catch a feeling with a good volume and proportion. Instead of playing Pokeomon Go, go to your nearest acquarium or zoo to hunt and catch “Creatures” with your pen ! What I learned is that: It’s super fun !! 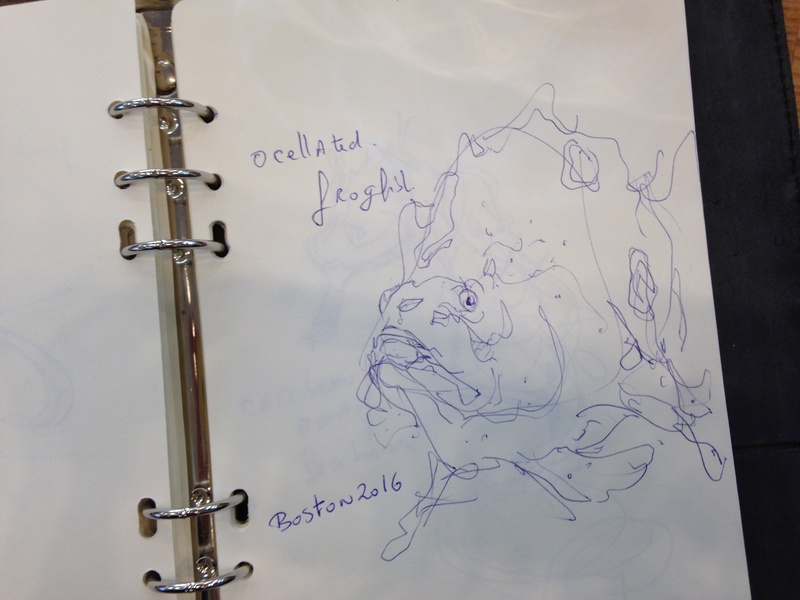 With the fast sketching technique, you jump from a subject to another. You don’t look for the perfection but the main lines and details only. You understand that you don’t have to show it all to get a nice sketch. That you gotta spot the key feature. 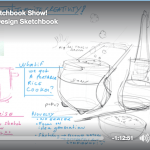 80% of a sketch are often made within the first 2 minutes. I love bringing my sketchbook when I travel. When I feel bored, I flipped the pages and rediscover what I did. I saw the fish and I had a great sensation like a flash back. 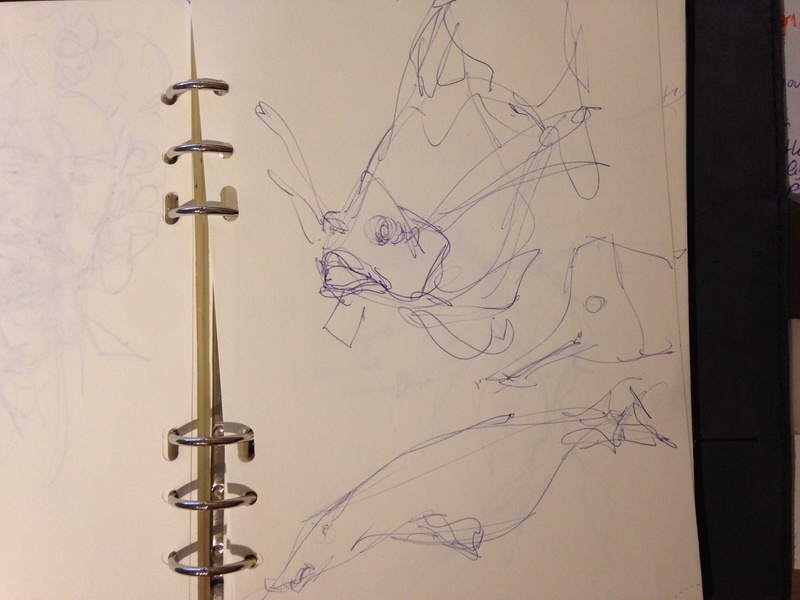 It’s amazing how this 5-minute sketch can re-activate your memory. Through this quick sketch, I can still remember being there, the lighting, the ambiant sound and even feel the strange and thick texture of the fish. It’s a similar feel as when you bump into a picture of yourself when you were a kid. You feel a flood of memory and feel fill your heart. Sketching bring you the same phenomenon of nostalgia. But here, you can reactivate this nostalgia, and make your sketch evolve to something better. 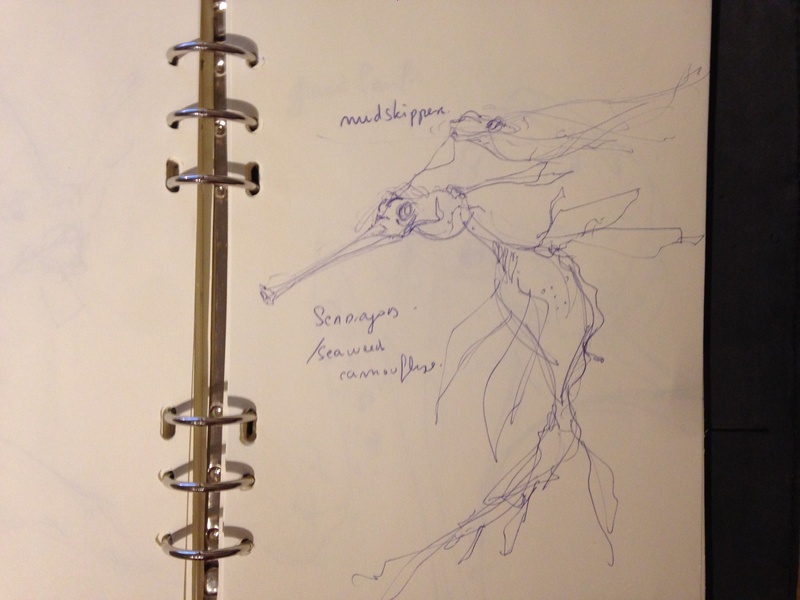 Sketching creatures activates and feeds your memory of forms you can use for your product design. I guess that’s one of the main reason I like in sketching. 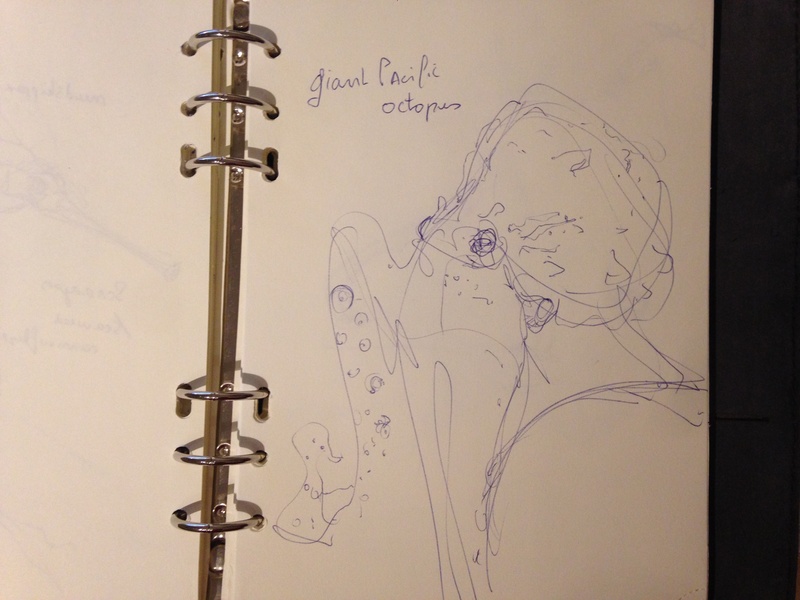 You gather a feel, a moment of life in your sketchbook – and from there continue to progress. The details, the scales, the textures, the colours, the way the fish moved… are all new information I could tap in for a future product design. Explore your surrounding world with your pen to expand your awareness and refine your sense of observation. 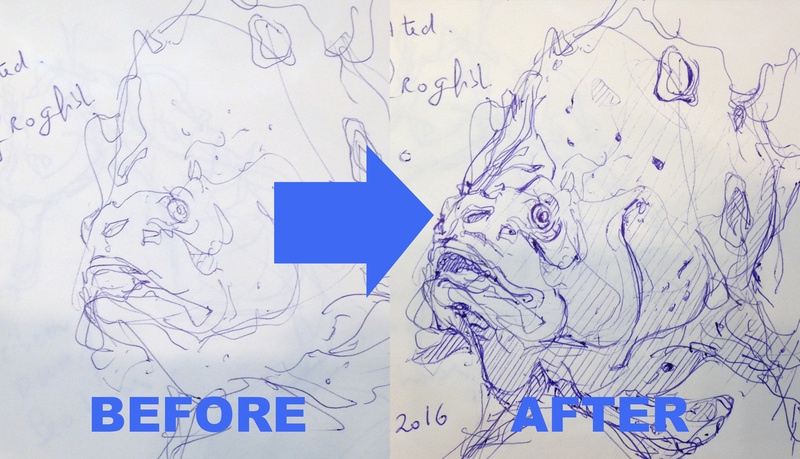 You will surprise yourself how much details you can grab more at every new session of sketching. Remember that most of us are under the same routine: Wake up, go to work, go back home. We basically see the same things everyday. As a designer, your job is also intentionnally break this routine and go out see the world ! Believe me, Internet is not the magical answer. I start spotting the darkest area such the eye and the mouth using hatching. 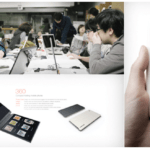 Hatching give volume to your sketch in no time. You don’t have to go perfect to draw details – but I make sure my hatching are neat. That’s it! 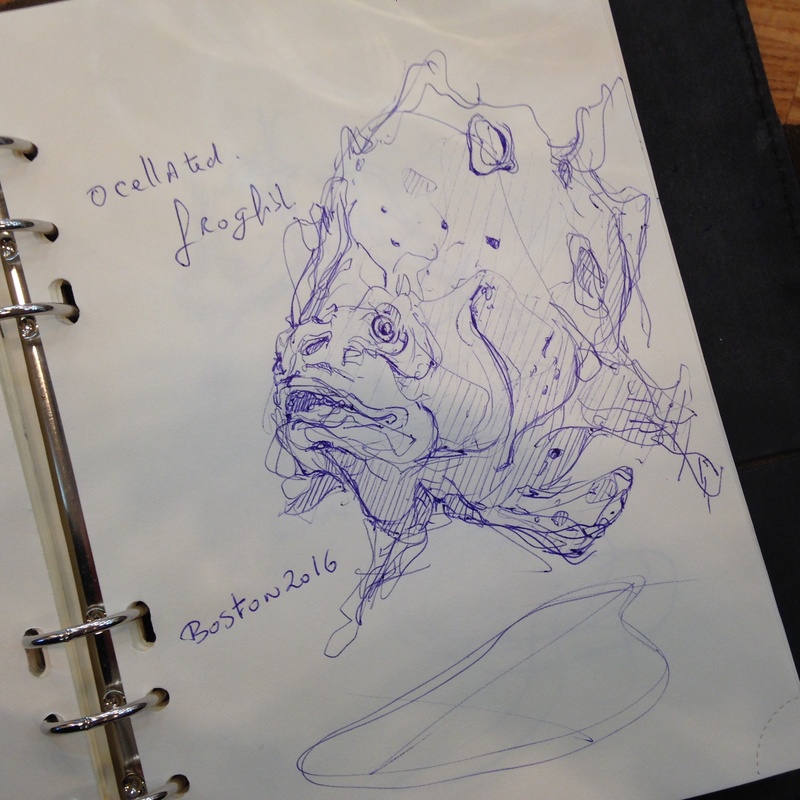 I focused more on the front, so the overall sketch looks lighter and give focus to the “face” of the fish. 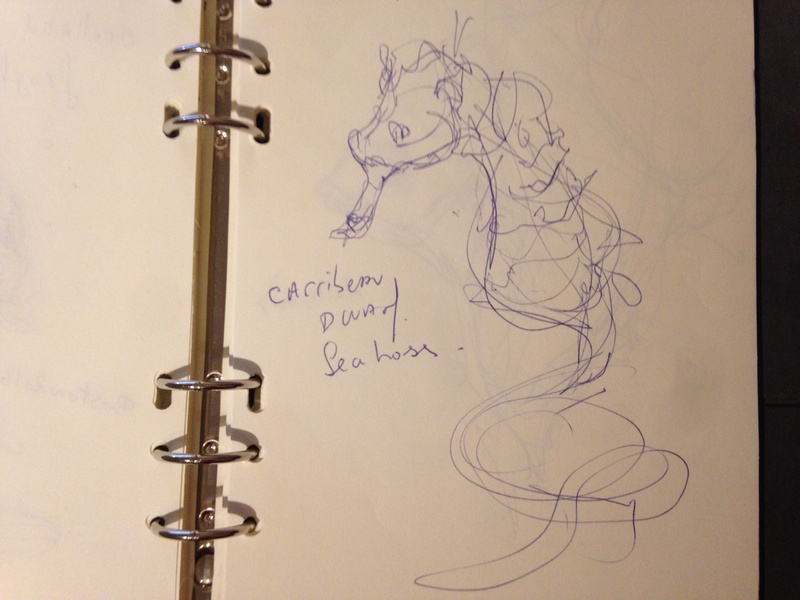 A sketch is something you can evolve. The real size was smaller than my thumb nail. I had to look at them very closed ! Like if I had a magnifier glass. The sea is an amazing inspiration for your product design. 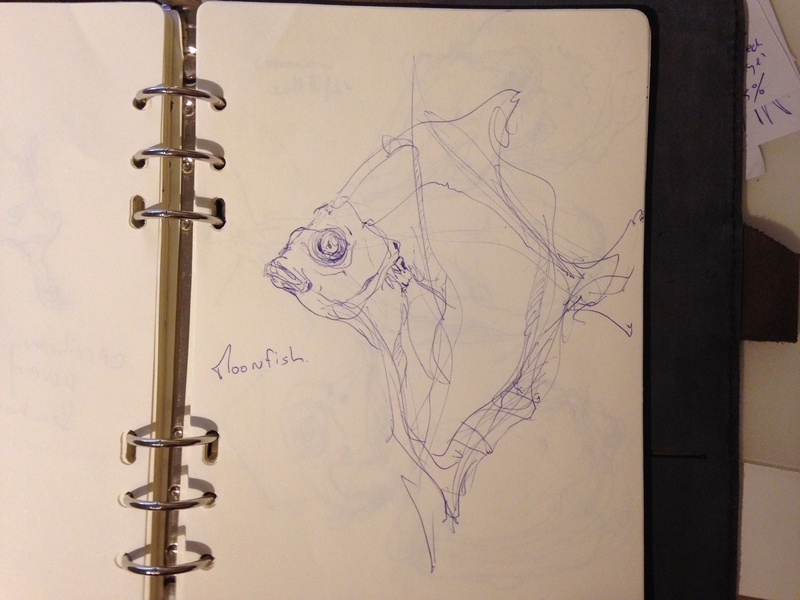 The moonfish having an expression like if it was hypnosed. See you for the next sketching tips and techniques ! 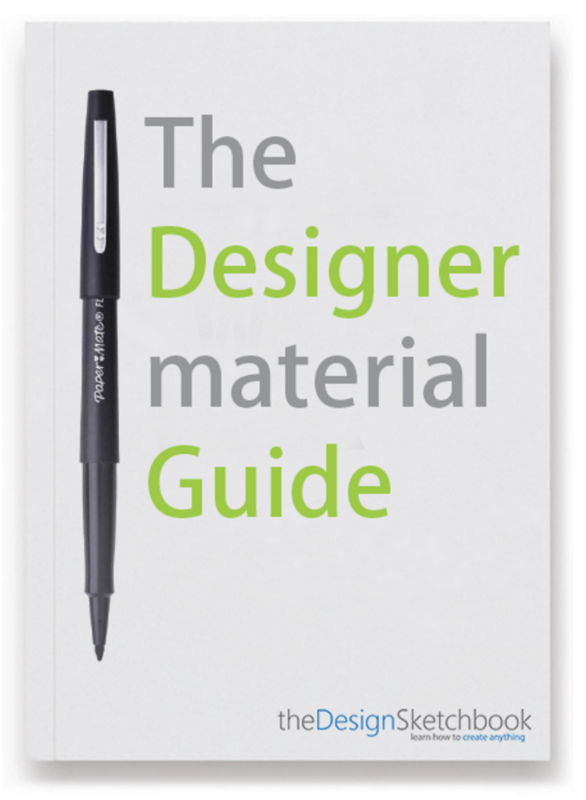 Ps: Even if you study Product design, I do invite you to study nature. “Nature can’t go wrong, and never lies”. Within a further extend, it goes to biomimicry: when instead of using Nature as a raw material, we tap into its intelligence to make better products. Absolutely beautiful sketches. Nature provides the best inspiration, no question. Thank you Edwards for your beautiful quote. This is so true !